As the program wraps up, Luke Marshall, CEO of VitalFlo, Inc. took some time to share his thoughts on his experience, what keeps him motivated! Luke Marshall is the cofounder of VitalFlo, a company that is redefining the standard of care for asthma management by providing actionable recommendations to patients when they need it most: before they have an asthma attack. 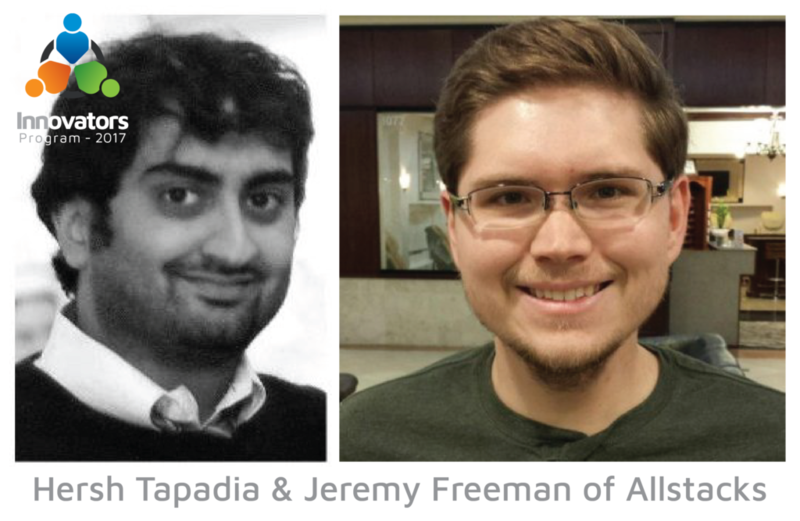 Their handheld medical device and digital health management app enables asthmatic patients to track their lung health and asthma medications at home. Through VitalFlo’s integrated platform, they provide population-level insights to healthcare provider networks, diagnostic support to physicians, and actionable recommendations to patients when they need it most. Read on to learn more about Luke and VitalFlo, and visit their site to sign up to try their product! IP: Why did you decide to apply for the Innovators Program? Luke Marshall: I first found out about the Innovators Program through our good friends at NC RIoT. Tom Snyder had previously partnered with IP and knew about all the great education and community resources it has to offer to young companies like VitalFlo. Once learning about it, we jumped at the chance to apply! IP: What are you most looking forward to in this program? LM: We have been really thrilled to become a part of the great network of entrepreneurs, community partners and investors that Liz and Nick have developed for the Innovators Program! Getting to work directly with great companies like Becton Dickenson, Citrix and Red Hat, and seeing how they operate and approach problems at scale, has really helped us think about what systems we’re putting into place in our company as we envision reaching that level. Also, getting feedback from IP’s Executive Counsel has been huge for us – the experience all the executives bring to bear is really inspiring, and their advice is second to none. IP: What skills or backgrounds do you each bring to your team? LM: We have a great core team at VitalFlo, with each person bringing different skills to bear. James Dieffenderfer, CTO and inventor of the VitalFlo mobile spirometer, just wrapped up his Biomedical Engineering doctorate at NCSU where he worked on projects like VitalFlo as part of the ASSIST program. He has been a rockstar of digital health technologies from all angles, with great experience in hardware, embedded code, and machine learning technologies. Ravi Chilukuri, COO, has over 20 years of product development experience in hardware. 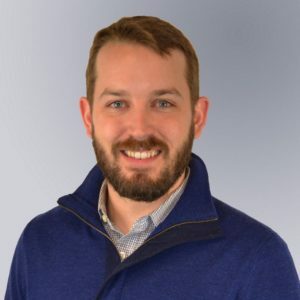 He’s had great success leading development teams as they scale from small operations into dominant players (and did so most recently as VP of Product Development at local RTP late-stage startup, Phononic). We also have an amazing team of contract developers, manufacturers, and regulatory experts that position VitalFlo for success. As for me, I have been building and leading technical teams focused on commercializing university-based technologies for the last eight years. It has been a priviledge to work with this great team as we work to build VitalFlo into a company with enough scale to really make an impact for asthmatics everywhere. IP: What was the “ah-ha” moment that led to starting your company? LM: VitalFlo was born from an interaction between James and Dr. David Peden, a really top-notch pediatric asthma specialist from UNC School of Medicine who is now on our Board of Advisors. Dr. Peden basically described the current state of affairs in asthma management to James: how current lung health monitoring can only be done in-clinic and therefore infrequently. He asked James, “Can you solve this?” So James went to work on developing our patented technology. Ravi and I met James a little while later while prospecting for promising university-based technologies to commercialize. When James showed us his solution we were blown away, and we immediately went to work. All three of us on the management team have a history of respiratory ailments in our families, so building a solution for this was exciting for its promise and potential impact, but it is also personal. IP: What problem are you trying to solve? LM: There are 25 million Americans currently suffering from asthma symptoms – that’s 25 million Americans that aren’t sure about whether they’ll have trouble breathing today, whether they’ll miss school or work today, or about whether they’ll be one of the 10 Americans that will die today from asthma. Our solution empowers these patients to take control of their asthma. 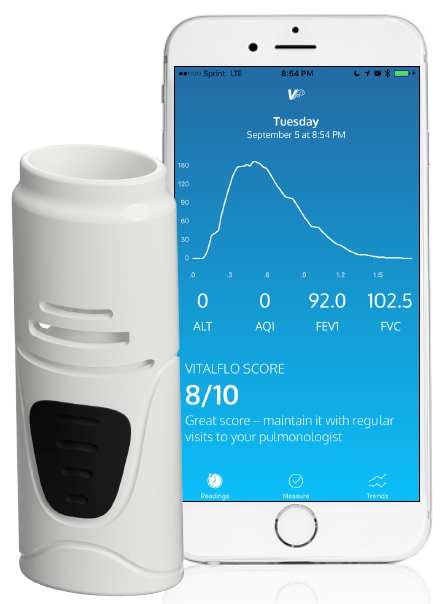 VitalFlo’s mobile spirometer and smartphone app let’s patients monitor their lung function and asthma medications on a daily basis. With our powerful machine learning analytics, we can help predict whether they’re at risk of an asthma attack, and then notify them and their doctor so that they can avoid missed days, trips to the emergency room, or worse. VitalFlo lets asthma patients and their families breath easy. IP: Any big takeaways from the Innovators Program that you’re excited to integrate into your business? I was super excited to learn some of the design principals, and to incorporate them into our development cycle going forward! Since so much of our design choices had been before I joined the team, going through this process with IP was a great opportunity for me to do a deep dive into our design and product pipeline. We’ll definitely be using the processes we learned to continually iterate our product to better serve our customers. IP: When you are not working tirelessly to launch a company, how do you spend your time? LM: None of this would be possible without the support of my amazing wife, Hillary! She keeps me level-headed (well… mostly) through the highs and lows that come with startup life. Because of that, carving out quality time with her has always been a top priority. We really love to cook together – especially for guests! We also like to unplug and take our dog Eddy out into the woods for a hike. IP: How do you stay energized for the long workdays of entrepreneurship? go-to snacks? rituals? LM: We’re hugely motivated to solve this problem. In the US alone, 10 people die per day of asthma related causes – if working to solve a problem of that importance and scale is not energizing… you’re in the wrong business! That said, I also try to stay sharp by taking care of myself. My most focused and productive days tend to start with 15 minutes of meditation and 3 to 5 mile run with our dog. Thanks Luke for sharing your experience with us, can’t wait for VitalFlo to blow us all away! If you’d like to learn more about VitalFlo or the Innovators Program, check out more here. Author Magdalyn DuffiePosted on September 27, 2017 October 20, 2018 Categories Branding, Business Model, Demo Day, Growth, Product Market Fit, Startup Stories, StartupsTags Citrix, corporate innovation, HQ Raleigh, innovation, Innovators Program, Innovators Program Raleigh, NC State startups, Raleigh, raleigh accelerator, raleigh startups, Red Hat, Red Hat innovation, startup communityLeave a comment on Team Focus: Vital Flo, Inc.
DeLisa Alexander is Executive Vice President and Chief People Officer at Red Hat, the world’s leading provider of open source software. Since founding in Raleigh, North Carolina in 1993, Red Hat has grown from a small technology startup into a global, $2 billion corporation. The company hasn’t forgotten its entrepreneurial roots, though, which is why leaders like DeLisa are heavily focused on maintaining a culture of innovation both internally and in Red Hat communities. So just how does a global enterprise do that? We sat down with DeLisa to find out why they sponsor a startup accelerator, how they’ve built a meritocracy, and why she doesn’t call herself the head of HR. Innovators Program: What is your focus as Red Hat’s Chief People Officer? 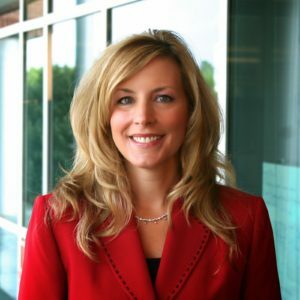 DeLisa Alexander: As Chief People Officer (head of HR), I lead the organization that is responsible for being a strategic partner to our business by hiring, developing, and retaining talented people. I’m also focused on scaling and sustaining Red Hat’s culture and employment brand as we grow. For the last 11 years, this role as given me the opportunity to help grow our company from this wild idea—that we could sell free software—into a sustainable business that earned more than two billion dollars in revenue this year. Innovation and entrepreneurship have always been areas of interest and passion for me, and as Chief People Officer, I feel so fortunate to be able to contribute back to the same business ecosystem that helped make Red Hat a successful, global company. IP: Why is innovation so important? How has innovation impacted Red Hat’s company culture? DA: Innovation and entrepreneurship are critical—to our community, to our country, and to the world. Innovators and entrepreneurs are a key part of a robust business ecosystem, because they generate new ideas, challenge the status quo, and help us solve the big problems that our world is facing. As an open source company, Red Hat’s culture not only fosters this type of innovation and collaboration — it demands it. We’re a meritocracy, where good ideas can come from anywhere, and the best ideas are what we should act on. That’s one of the things I love most about Red Hat: people are free to share their ideas and make an impact. IP: Why do you think it’s important for a large company like Red Hat to support local startups and entrepreneurs? DA: At Red Hat, we believe fostering innovation and supporting the growing startup ecosystem is an essential part of our role as a longtime member of the Triangle business community. Red Hat started out as a little company with a wild idea, so we understand many of the challenges these startups face. Now that we’re a large, successful company, we’ve taken on a larger role as a corporate citizen in this community. We want to be a catalyst in the innovation ecosystem and help another business become the next Red Hat. Sponsoring the Innovators Program and providing enterprise expertise to these startups is one way we’re approaching that. IP: Why did Red Hat decide to have teams participate in last year’s Innovators Program in addition to your sponsorship? DA: Knowing that the best ideas can come from anywhere, we take a community-powered approach to almost everything we do at Red Hat. Participating in the Innovators Program was an innovative way for us to redesign two internal talent programs that support our culture. IP: What’s the latest with the projects your innovation teams worked on during the program? DA: Since Demo Day, we have continued to take a community-powered approach to both projects, with the redesign work from our Innovators Program teams as the foundation. Here’s the most exciting part to me — we’re designing these systems using Red Hat technology. Through our internal innovation labs, we’re iterating and developing the tools to bring these talent programs to life in partnership with Red Hatters from our IT, Consulting, and People teams. 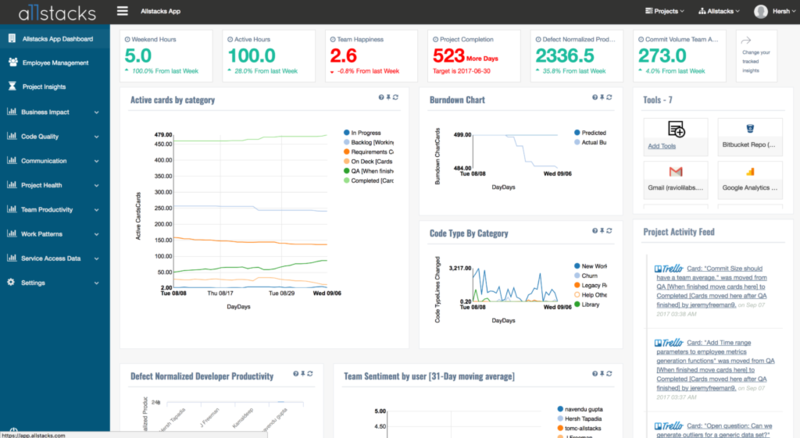 By using our own technology, we’re able to create processes that are truly reflective of Red Hat’s culture. It’s an exciting place to be right now, and I look forward to seeing the final products and the impact they will have. IP: What are some challenges of running innovation-oriented programs within a big company? DA: For Red Hat, it’s finding the right balance between moving fast and gathering input. One of the biggest challenges we face as a growing organization is making sure that we stay true to our open culture as we innovate. Making decisions in an open and inclusive way is a large part of that. Feedback is so important to us. When we decided to participate in the Innovators Program last year, we chose our two projects based on months of feedback from Red Hat associates around the world. From the start of the twelve-week program, our two internal innovation teams applied the principles of the Open Decision Framework, our collection of best practices for making open business decisions. 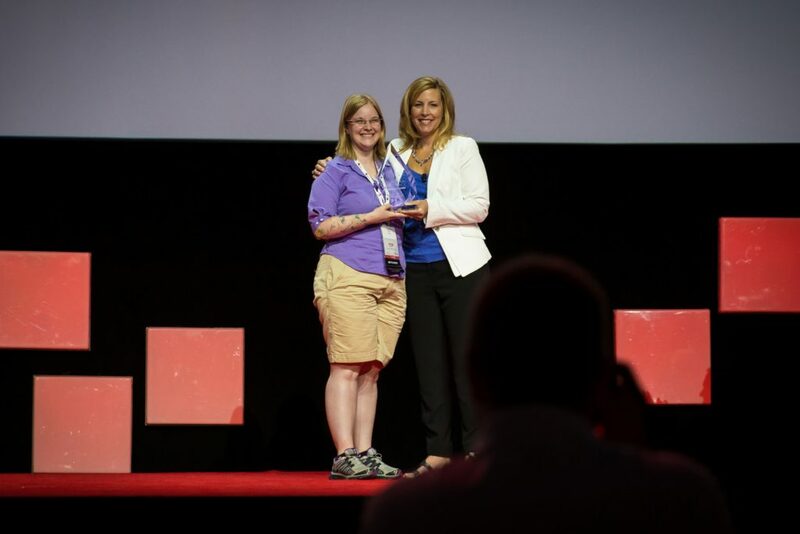 They shared their goals, progress, and challenges during each phase of the program with the entire company to give every Red Hat associate an opportunity to contribute, offer feedback, and make their voice heard. That isn’t a fast process, so trying to squeeze in those opportunities while making progress against the tight deadlines of the program is a real challenge. But it’s a real-world challenge that we face with all of our business decisions, and we know that it’s worth the effort. I’m proud that the teams did this work in the Red Hat way, and that we’re now taking an open approach to continuing these projects using our own technology. IP: What advice do you have for other leaders who want to focus on innovation? DA: Seek out new perspectives and be open to different opinions. If you want to get the best ideas, you need diversity of thought and an inclusive environment where everyone feels welcome to participate and offer their perspectives. Research shows that organizations with more diversity—gender, racial, ethnic, and global—benefit in many ways. This is especially true in a startup economy. Leaders who seek out these perspectives will find that their companies are able to better understand customers, mitigate risk, and generate innovative ideas and products. Thanks so much to DeLisa and our incredible partners at Red Hat for helping move innovation forward in Raleigh and beyond! If you are executive / manager or intrapreneur that is interested to find out how you can leverage the innovators program at your company be sure to click here and let us know who you are how we can help you!